TCL Communication and partners (EURECOM and Creonic), are exhibiting a real-time full software 5G User Equipment (UE) in the 3.5GHz band on 80MHz channels, a configuration applicable to the European and Asia markets, showcasing reduced latency and increased throughput compared to 4G. 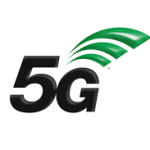 These experiments allow TCL Communication to take a leading role on the 5G end-users connectivity. For Christian Gatti, Global President Alcatel Business Division and Executive Vice President TCL Communication, “With the full-software implementation announced today we’re now able to prototype 5G innovations in collaborations with OSA Members and prepare the introduction of the first 5G products in second half of 2019.” – Exhibiting at TCL booth – Hall3, 3D11 during MWC 2018. “Creonic is the market leader in the field of communications IP cores for Field-Programmable Gate Arrays (FPGA) and Application Specific Integrated Circuits, and we are proud to have been selected as the provider for the LDPC IP that will enable the higher performance OpenAirInterface implementations using FPGAs”, said Timo Lehnigk-Emden, CEO, Creonic.” The company has announced the commercial availability of its 5G LDPC and Polar IP and will make a version available to interested OAI members for research and demonstration purpose. For more information, please visit the product pages or contact us. Creonic is an ISO 9001:2008 certified provider of ready-for-use IP cores for several algorithms of communications such as forward error correction (LDPC and Turbo coding), synchronization, and MIMO. The company offers the richest product portfolio in this field, covering standards like DVB-S2X, 5G, DVB-RCS2, DOCSIS 3.1, WiFi, WiGig, and UWB. The products are applicable for ASIC and FPGA technology and comply with the highest requirements with respect to quality and performance. For more information please visit our website at www.creonic.com.